What attracted you to join the business in 2009? HorizonOne stood out as a great opportunity for a number of reasons. 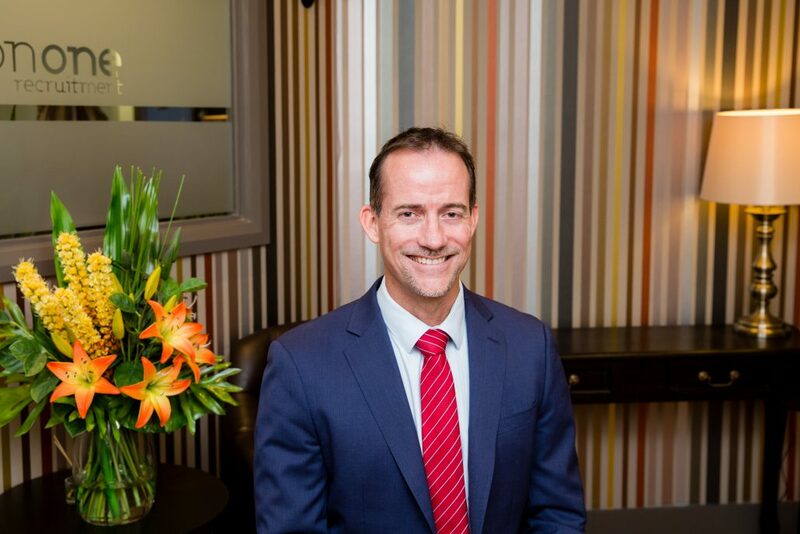 The company was in its early stages of development and I was excited by the prospect of building the business in the Canberra region as a quality-focused alternative to larger, generic recruitment firms. I was also attracted to the values and ethics of the Directors. I believe when firms focus on dollars over core values it typically leads to poor service delivery and diminishes the quality of outcomes for clients and candidates. HorizonOne does not allow the financial result to override the core values or operational ethos of the business, it is quite the opposite. I have always loved recruitment as we get to work with so many great clients and candidates through different stages of their journey. You get to know a lot about the businesses you are working with and the various different characters you encounter. You are always learning something new. I have developed some great friendships from my time in recruitment and gained a lot of personal satisfaction from seeing the organisations and people I work with grow and develop. I really enjoy assisting candidates to grow and develop through their careers by offering intelligent advice which leads to smart career choices. It’s great to be able to drive my passion for the sector into a thriving business that continues to collect accolades for outstanding achievement. We are able to provide opportunities for others developing through their recruitment careers. I am also lucky to work with a great business partner who is on the same page in terms of their approach to business and life. What do you see as the future for professional recruitment going forward? The future of professional recruitment revolves around both how you add-value, and how you demonstrate that value. Recruitment service providers come and go quickly, particularly in those markets which have typically encouraged the surface level, low value, CV flicking services. Recruitment service providers who will stand the test of time are those that seek to move beyond traditional methodologies. They need to look at ways to truly partner with their clients to help them address critical shortages in the market for talent. What achievements are you most proud of from your time at the helm of HorizonOne? Over the past 5 years, we have seen the business develop a substantial footprint within the Canberra community with an overriding reputation for quality results and fair play. Our desire to deliver services at a higher standard has seen us become the first choice for sourcing talent for an extensive list of government, private and non-profit sector clients. We have worked hard to develop an expansive network of high performing candidates within our specialist subject matter areas. We have assisted many of these candidates to take positive steps forward within their chosen careers. As a result, we have developed a loyal group of advocates who actively support and promote our business. We continue to build a strong team of like-minded professional people with the same commitment and determination to doing things better, regardless of their role within our business. I also like to think we have made HorizonOne a great place to work along the way. What do you believe are the 3 key elements to being successful in recruitment? Goal orientation: Recruitment is a tough game with lots of ups and downs. If you want to be successful you have to keep a focus on longer term goals to help you overcome shorter term setbacks. Resourcefulness: Clients and candidates engage us to solve problems. Whether that be finding great talent in areas of skills shortages, or capturing that next great opportunity to progress a career. Our ability to adapt and grow our knowledge and networks in the right areas helps deliver valuable outcomes. Life skills: Recruitment is all about understanding people and being able to put yourself in their shoes. Each day is full of difficult conversations managing expectations, understanding motivations, and encouraging the best way to think about an issue. Good life skills in dealing with people is the glue that pulls these all together. Who is the biggest stirrer in the office? Give us a good example? I am trying to think of someone here other than me. All I can say is that I grew up with a twin brother so it seems such a waste to not put those skills into play. What is something you do outside of work others would be surprised by? I don’t really have any wild or wonderful hobbies but I am a keen fisherman in salt and fresh water. Otherwise, I love to spend time with my family and I keep active through a range of sports and exercise.